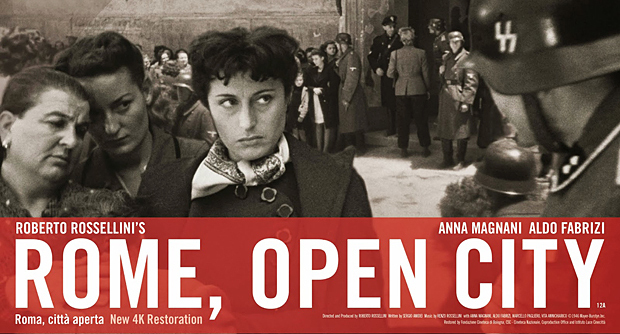 The Italian Cultural Centre Wales has organised a screening of Roberto Rossellini’s Rome, Open City, a classic tale of life in Nazi-occupied Rome, in collaboration with Snowcat cinema and supported by Wales PEN Cymru. The screening is preceded by a performance by Dome Bulfaro, a renowned Italian poet and artist. We are putting this event on since we think that Italy is crossing a very critical phase and its fragile democracy is in real danger. Since Matteo Salvini was sworn in as Italy’s Interior Minister, his controversial stance on immigration, Roma people and the European Union has made the headlines. The press have dubbed him the European Donald Trump and commentators say he could pose a threat to the existence of the European Union as we know it. This week he was in the news again, for refusing to allow another migrant rescue ship to dock in Italy and for his radical proposals to crack down on migration. 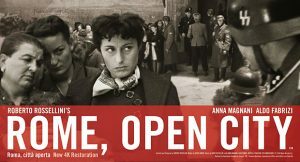 This entry was posted in antiFascism, Cinema Cardiff, Events, ICCW, Culture, Post-Colonial, Mediterrenean Re-mapped, Italian Film Festival Cardiff, Migrants. Bookmark the permalink.